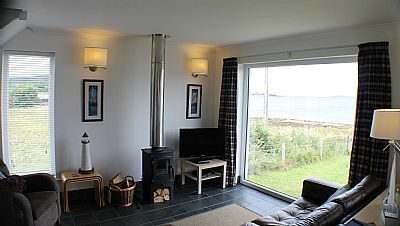 On the ground floor is the entrance porch, downstairs toilet and utility cupboard with washing machine and tumble drier. 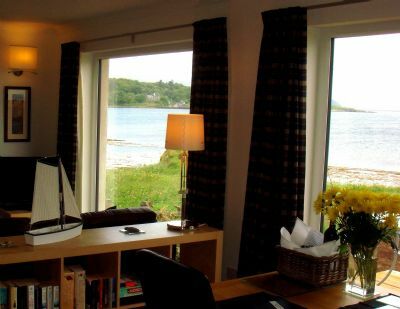 The porch leads through to the spacious open plan living area with floor to ceiling windows giving stunning views out to sea. 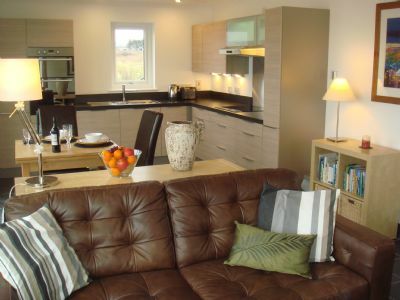 The comfortable seating area provides the perfect spot to sit and watch the wading birds on the shore and perhaps see the otter who often plays on the rocks in front of the house. 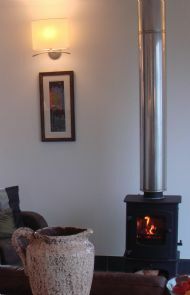 There is a wood burning stove and 32” TV with DVD player for cosy evenings. Books and maps of the island are provided to help you make the most of your stay. A staircase leads from the lounge to a spacious first floor bedroom with en-suite bathroom. 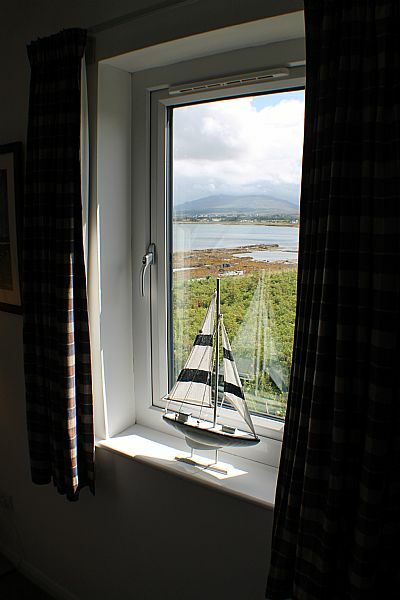 There is a king size bed, plenty of storage space and views out to sea. 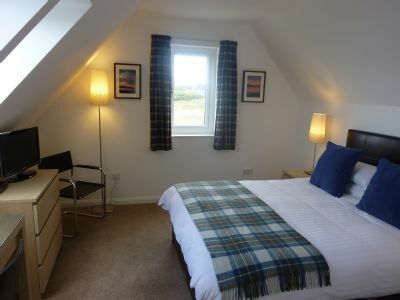 Bedding, towels and dressing gowns are included, along with a choice of pillows. There is a TV in the bedroom. 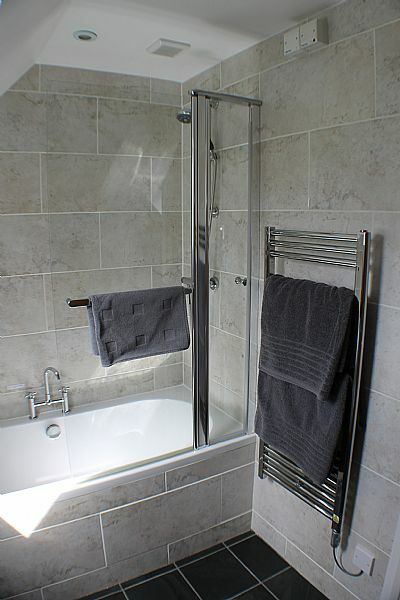 The en-suite bathroom has a double ended bath with a powerful over-bath shower and underfloor heating. 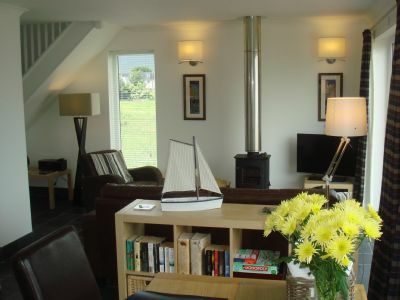 The house is suitable for use all year round. 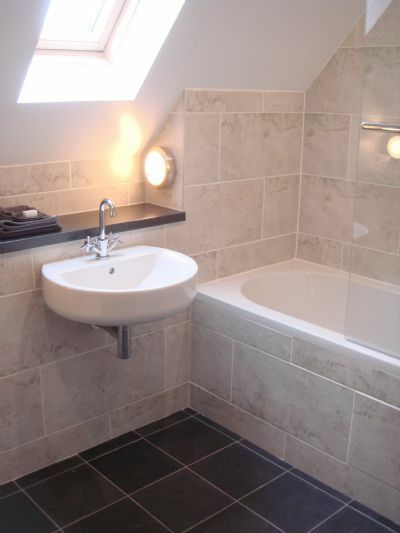 All ground floor areas and the bathroom have underfloor heating making the house cosy regardless of the time of year. All fuel costs and logs for the stove are included. PLEASE NOTE that although the ground floor has ramped access and a wheelchair accessible cloakroom, the only bedroom is on the first floor, making the property unsuitable for wheelchair users.